Box containing 2 strips of 10 SR capsules each. One SR capsule 8 mg twice daily. 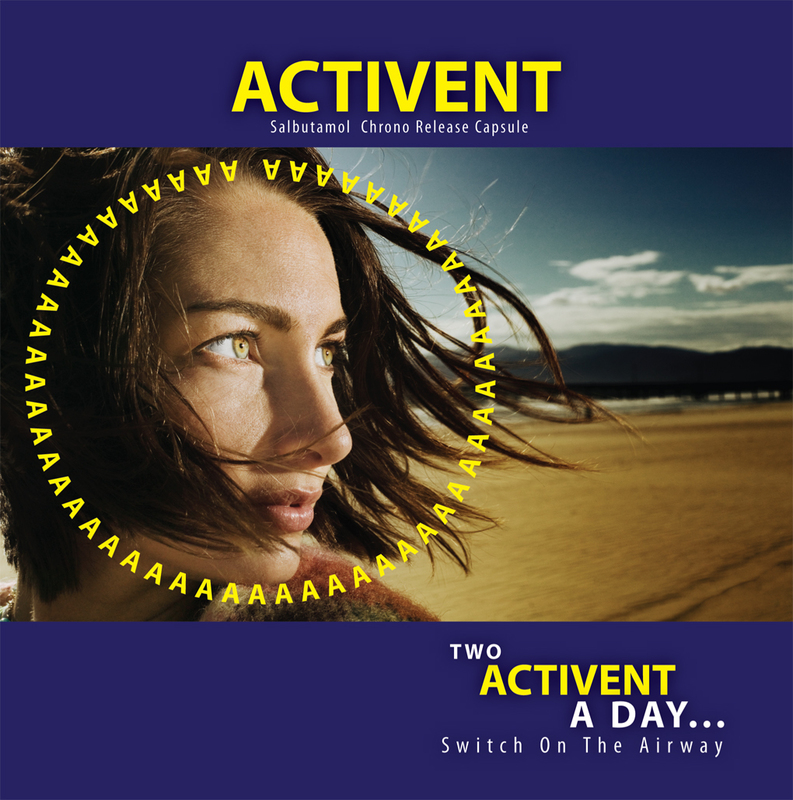 If control of reversible airway obstruction is not achieved with the recommended doses in patients on otherwise optimized asthma therapy, the doses may be cautiously increased stepwise under the control of the supervising physician to a maximum dose of 32 mg per day in divided doses. Patients currently maintained on salbutamol tablets can be switched to salbutamol SR capsules, the administration of one 8 mg salbutamol SR capsule every 12 hours is comparable to one 4 mg salbutamol tablet every 6 hours. 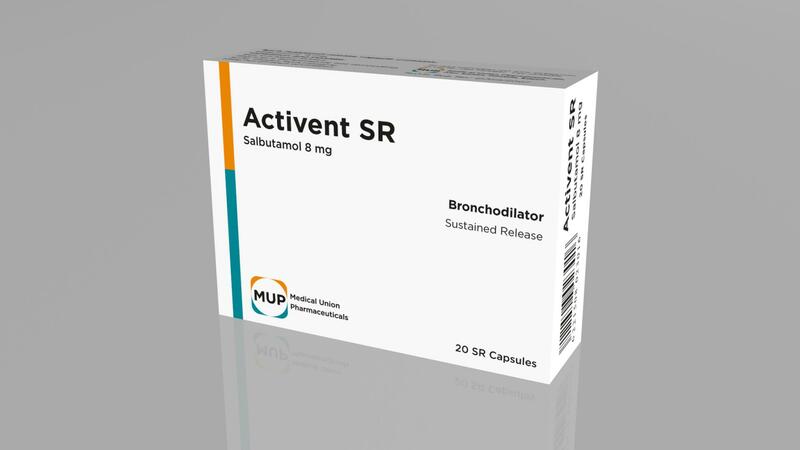 Activent SR is indicated for the relief of bronchospasm in obstructive pulmonary diseases (bronchial asthma, chronic bronchitis and emphysema). It is used in the management of uncomplicated premature labour during the third trimester of pregnancy following the control of uterine contraction with parenteral salbutamol.